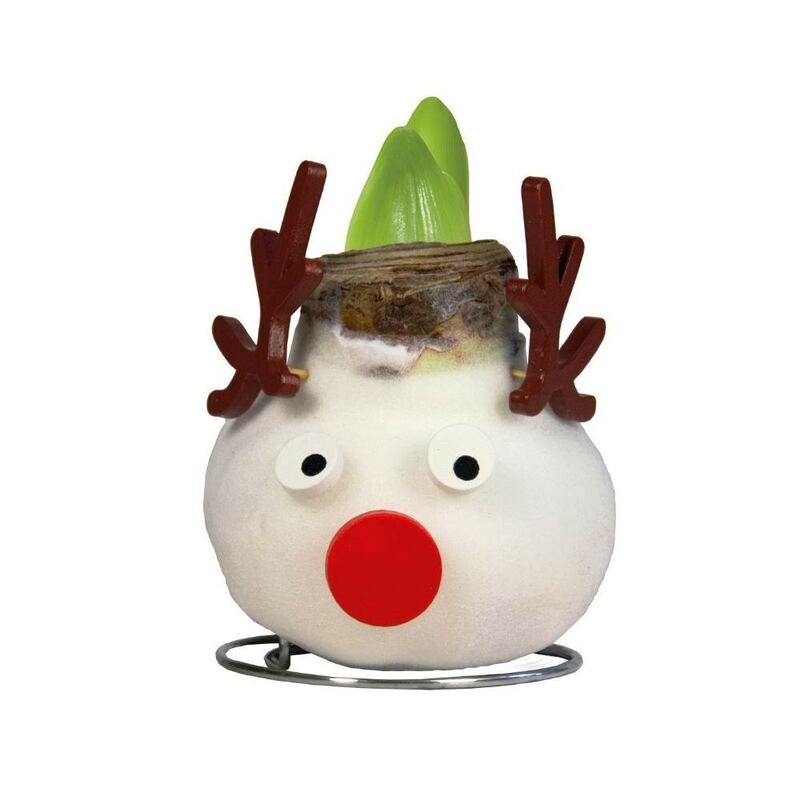 We loved these as soon as we saw them - and we all want one to help liven up our desks over the festivities. They dont need watering, so they are incredibly easy to look after - and that means they are great for both children and novice gardeners. 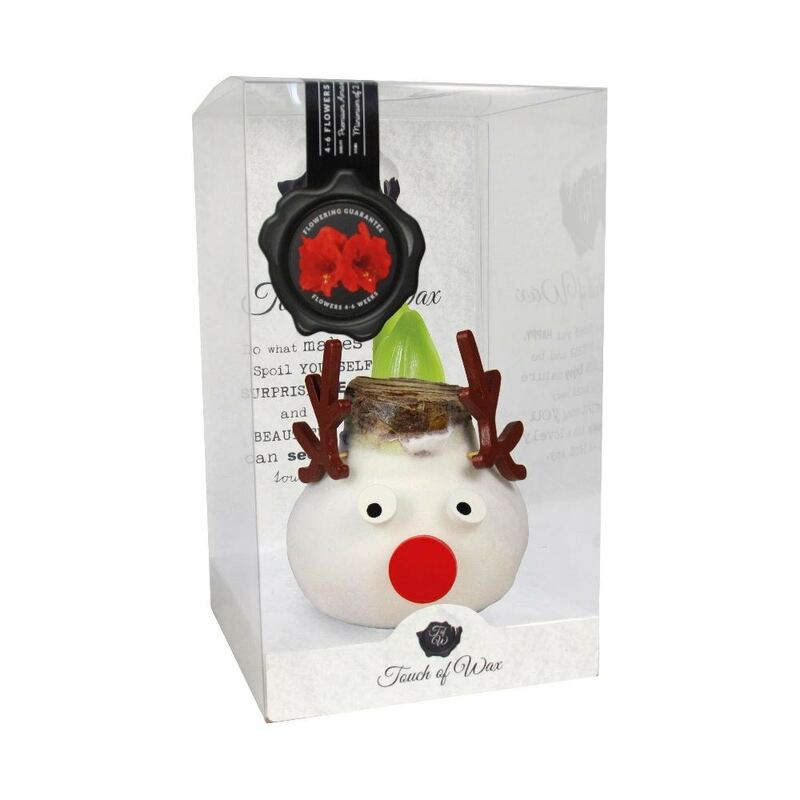 Basically, its an amaryllis bulb that has been dipped in white wax, popped onto a simple wire stand and then dressed up with antlers, eyes and a big red nose. When they arrive, all you need to do is unpack them, place them in a cool and bright room, and watch them grow. In around 3 to 6 weeks they will go on to produce a tall stem, topped with really showy orange-red trumpet-shaped flowers. General care: Avoid placing 'Rudolph' next to a radiator as he will be happier in cooler conditions.